Almost anyone can lose weight, but most struggle and end up gaining it back again. Losing weight is a challenge, but keeping it off is harder. Freedom from the yo-yo dieting syndrome and control of certain foods is possible with God’s help. The walls standing in your way of freedom will crumble, if you are willing to dig deep to unearth roots of buried pain, ridicule, fear, doubt, guilt, other negative and debilitating emotions and, even, spiritual misbeliefs. 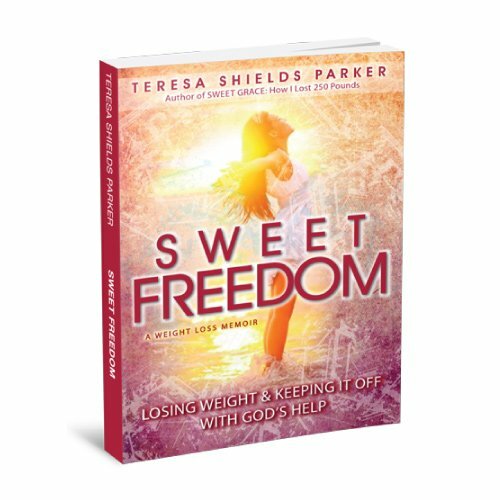 In Sweet Freedom, Teresa Shields Parker, who has lost more than 260 pounds, shares how she used simple tools, such as forgiveness, inner healing principles and connection to God to break into her new healthy living lifestyle. If she and God can do it, you and God can do it, too. We also have the Printed Version Available at Amazon.